BlackBerry has released the anticipated Priv smarphone that runs Android and has a physical qwerty keyboard. An official video shows the keyboard in action. 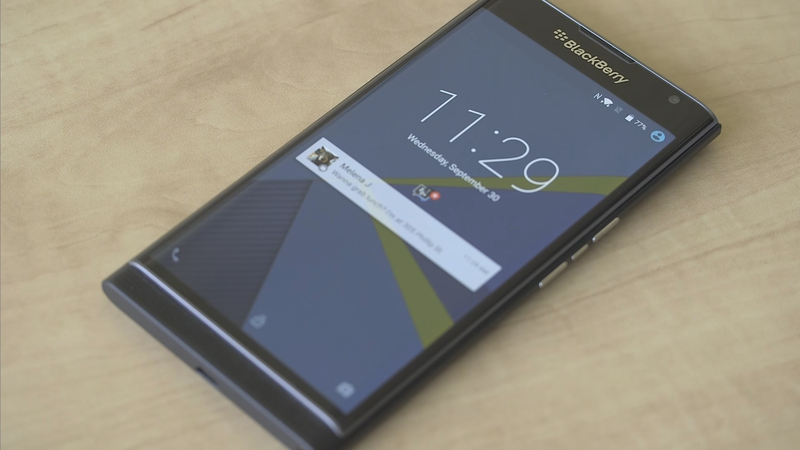 BlackBerry Priv has been rumored a lot. An Android smartphone with a physical keyboard and up-to-date specs was an interesting fantasy, and now it’s true. The Priv has a curved 5.4″ QHD AMOLED display, Snapdragon 808, 3GB of RAM, 32GB of storage, microSD card slot and a huge 3410mAh battery. All this has been packed to a body that measures at 147 x 77.2 x 9.4mm in size and 192 grams in weight. The official video shows the keyboard in action. The keyboard slides out in portrait mode and is tightly packed to the width of the display. The typing experience is mostly similar to the previous BlackBerry devices. It has the same touchpad functionality that the Passport has and can be used as a touchpad to scroll or select predicted words. The BlackBerry Priv is available for preorders in UK for £579 ($894) and shipping starts on 6 November. The Priv is a very important device to BlackBerry. If it succeeds, BlackBerry is back in the business, if it fails, BlackBerry might be gone. From the user’s perspective the Priv is maybe a bit too late. The virtual keyboards are getting better and faster to type on and the true need of a physical keyboard is mostly gone. Hopefully the Priv will launch world wide soon, so that we can see how it does. Yep, but is it too late? I think virtual keyboards are so good nowadays that the added bulk just isn’t worth it.